When Tamesha Means entered labor with her first child in 2016, she was only 18 weeks pregnant — not even halfway through her pregnancy. So she did the logical thing and rushed to the nearest hospital. When she arrived at the Mercy Health Partners hospital, doctors diagnosed her with preterm premature rupture of membranes, meaning that the amniotic sac surrounding the fetus was ruptured. At 18 weeks, the result can be fatal for both the mother and child. Mercy Health Partners turned Means away three times over the next three days because the only treatments that could save her was abortion, and Mercy is a Catholic hospital. Catholic hospitals in the United States are bound by a set of Ethical and Religious Directives issued by the U.S. Conference of Catholic Bishops. Regarding abortion, the Church says that it is never permitted. But sometimes, to provide an adequate and legally required standard of care, abortion is the only possible treatment. Too often, the ERDs prevent Catholic hospitals from providing adequate health care to women like Tamesha Means. Even worse, there sometimes aren’t other providers to turn to. 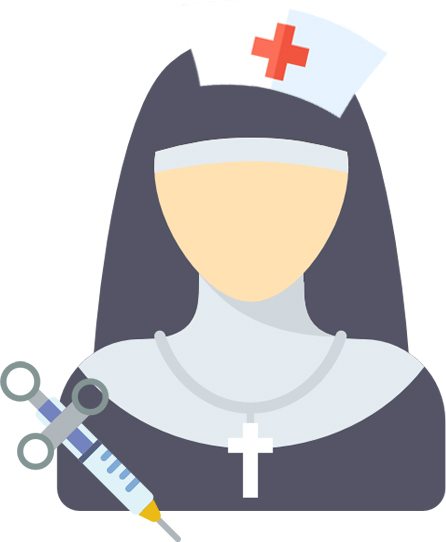 In the United States, 14.5 percent of all acute care hospitals are Catholic-owned or affiliated, with that percentage above 40 percent in some states. There are 46 Catholic hospitals which serve as the sole short-term acute care centers in their geographic region, meaning that there isn’t a place for women to receive certain emergency reproductive services within 35 miles of it. Sole care centers are eligible for more federal funding — and if they’re Catholic hospitals, they’re failing to fulfill their end of the government’s funding deals. The Emergency Medical Treatment and Labor Act requires that in order for health care providers to receive funding from the Center for Medicare and Medicaid Services, they must treat any individual in an emergency condition presented at their facility regardless of the individual’s ability to pay. Of course, Mercy Health Partners didn’t turn Means away because she couldn’t pay for treatment. The hospital simply refused to treat her because it was following the ERDs. And worse, Means wasn’t even referred to doctors willing to treat her when she was turned away. In strictly following the ERDs, Catholic doctors must “be concerned about the danger of scandal in association with any health care providers.” So not only are women turned away from receiving life-saving treatment, they’re also not told where they could go to get it because the Church is wary of scandal by mere association. Abortion isn’t the only service Catholic hospitals fail to provide. The ACLU reports horor stories of women who requested tubal ligations during C-sections, only to find out years later with a positive pregnancy test that the Catholic hospital they’d been transferred to refused to complete the tubal ligation and failed to tell them. In many of these cases, the women requested sterilization because their health would be seriously endangered by becoming pregnant again. This isn’t just a failure to provide care — this is forcing emotional trauma on people who’ve been through enough of it already. It seems like the struggle has reached a dead end, that either the Church or women in need will have to give something up in order to reach an agreement. The ACLU thinks it’s the Church that must give up federal funding if it wants to continue to not provide certain women’s health services. The Church thinks its right to religious freedom protects them. And for women who live in areas that have only one hospital, this answer could mean life or death. Right now, courts in the U.S. generally rule in favor of Catholic Hospitals, citing their ability to freely practice their religion. But some state legislatures have tried to address the growing need for reproductive care for women who live in the purview of Catholic hospitals. The Illinois legislature passed a bill that requires Catholic health care providers to recommend abortion providers to women in need, as well as to discuss the benefits of abortion. And in some cities, like Pittsburgh, partnerships pave the way for a mutual respect of beliefs — when UPMC merged with Mercy Hospital in 2007, the Catholic-operated Mercy Hospital was permitted to continue its pursuit of religious ends, provided that it worked in collaboration with UPMC’s secular goals. But women in Pittsburgh are lucky to receive in-network insurance if their primary health care provider is Mercy and they seek an abortion at another UPMC facility. The women truly in danger are those underserved by Catholic hospitals in rural areas, where there may be no abortion providers within a reasonable distance. To help these women, it’s time that the Catholic church revises the way it approaches abortion. No, the Church doesn’t need to wildly change course and accept abortion as moral — that would be far too much to ask. It would even be immoral to force Catholic doctors to perform abortion. Instead, it’s time that the Catholic church drops the concern regarding scandal and focus on what’s important — the health of women. It’s time for Catholic doctors to refer women seeking abortions to doctors willing to perform them, and if they’re sole care centers, make special accommodations to their hiring process and employ secular doctors willing to perform abortions. It’s a lot to ask, and it’s a heavy moral issue to debate, but one thing is clear — failing to provide life-saving health care is immoral, regardless of how you look at it.